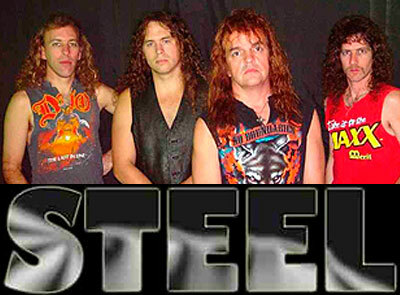 Steel blends a creative mix of Hard Rock, Heavy Metal, Classic Rock, and Modern Rock into their song list. Steel is a band of seasoned veterans featuring former members of; Ashley Krump, Karetaker, Savage Bliss, and Scary Mary. The members of Steel have been the opening act for such national recording artist as; Yngwie Malmsteen, Great White, Blue Oyster Cult, Jim Dandy, Kix, Lizzy Borden, Slaughter, and White Lion. Steel opens for numerous tribute bands including one of the biggest and best, Back in Black.